On May 8th we hosted an Instagram Chat on Twitter where we brought to life in a photo editorial Pizza served at Fabbrica Restaurant. It was a long time coming, but finally, Spring is here. It’s in our wardrobes (yep, it’s time for that pedicure), our work schedules (extra long patio lunch hour anyone? ), and of course, it’s in our lunch bags. Spring to me embodies freshness. It means I get to take a long-awaited hiatus from hearty casseroles and stews, and shift over to healthy light fare! Which is particularly important with bikini season on the way! Well, this month, I wanted to help you get excited about your Spring lunches, and maybe stir up a little lunch-room jealousy while you’re at it. So I made a B-line to McEwan’s exceptional selection of fresh artisanal microgreens for inspiration. And if the word “microgreens” automatically makes you think of a science experiment, than my Microgreen tutorial is for you! It’s a common misconception that sprouts are the same thing as microgreens- but when you consider how they’re cultivated, you can easily spot the differences. Sprouts are simply germinated seeds that are produced entirely in a contained water environment with low light conditions. There isn’t actually any soil, planting, or sunlight involved. Unfortunately, the dark moist environments are a potential breeding ground for bacterial, which is why Health Canada suggests that people with compromised immune systems (i.e. children, elderly, pregnant women) avoid eating sprouts to be safe. In contrast, microgreen seeds are planted in soil in an environment with ample light, low humidity and good air circulation. After about 7-14 days, the sprouts are harvested with a sharp knife, and the residual roots and soil are composted for another planting. These growing conditions are far less conducive to bacterial growth. Microgreens are a guilt-free snack that are virtually free of fat and cholesterol, are low in carbohydrates and sodium, contain only 8-38 calories per cup and depending on the variety, are packed with Vitamin’s A, C, E, and K. What’s even more exciting is that early research is suggesting that microgreens can have up to 40 times the nutrients of their mature “big vegetable” counterparts. It just goes to show that even the littlest, cutest foods can be nutritional powerhouses! 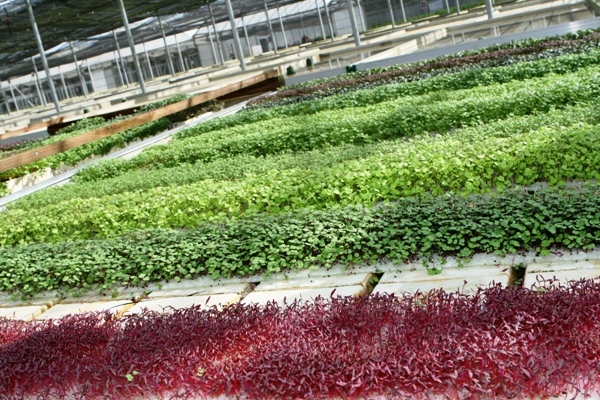 Like all vegetables, the flavours of microgreens can range from sweet to peppery to nutty to herbaceous, depending on the variety. And not only do they add distinctive pleasant flavour, but they also lend a satisfying light crunch. You can add microgreens to merely any salad, soup, sandwich, pita or wrap. 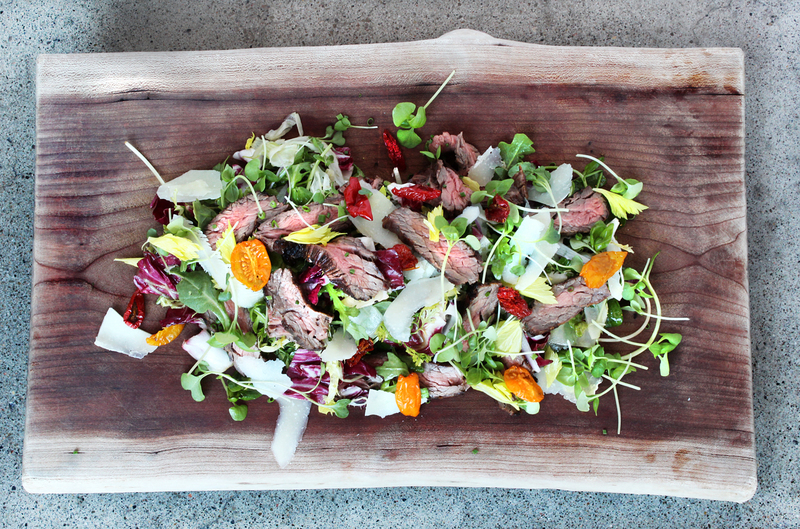 Check out Executive Chef Andrew Ellerby’s Roasted Garlic Steak Salad recipe. So there you have it- some delicious and nutritious uses for microgreens that will help you power through to lunch hour in anticipation of what’s waiting in the fridge. I think these dainty greens are a great way to transition out of your comfort-food winter routine, and into something fresh, healthy and light. And considering that McEwan’s incredible selection of Canadian microgreens are available all year round, you might never want to transition back! 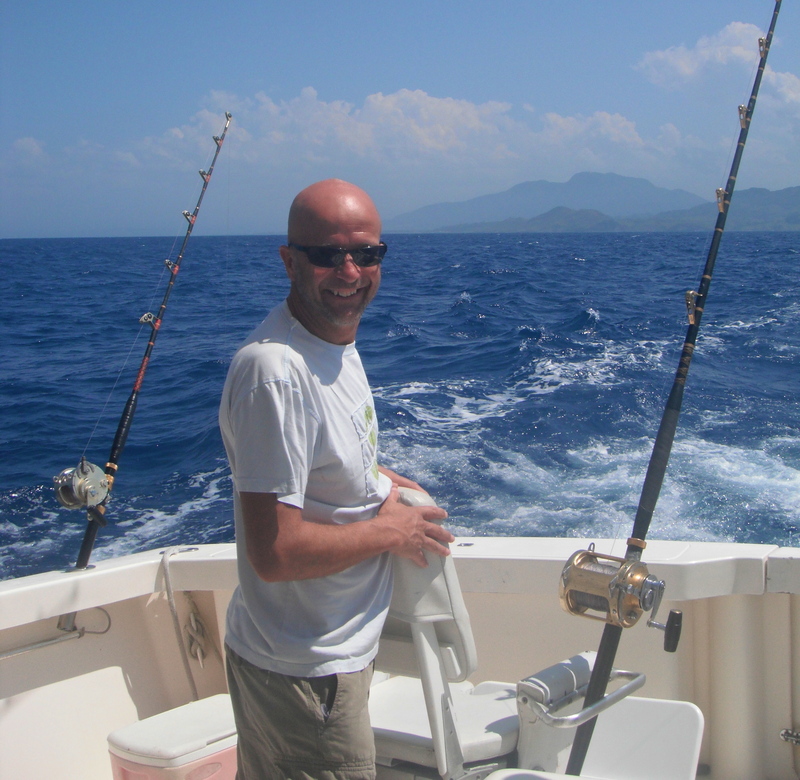 For more healthy eating tips and recipes, check out my website www.abbeyskitchen.com, follow me on twitter @AbbeysKitchen, and visit the McEwan blog regularly to catch my next post! Here’s a healthy and gorgeous recipe from Executive Chef Andrew Ellerby of One, McEwan and Fabbrica. Slice off and discard the bottom 1/4 inch of each head of garlic. Smear a sheet of foil with 1/2 tbsp of olive oil, arrange the garlic, bottom down and drizzle the other 1/2 tbsp. 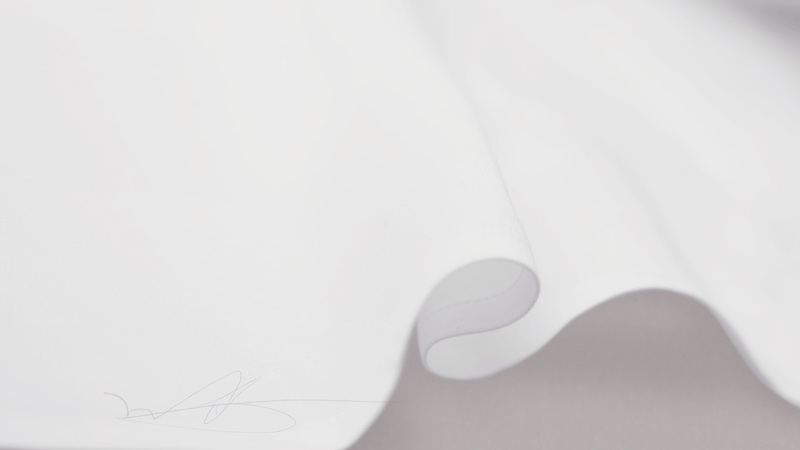 Fold over the foil, seal it tightly and place on a baking sheet in 325 F preheated oven. Roast until garlic is tender, about 45 minutes to one hour. Cool garlic for 10 minutes, then squeeze the garlic into a large bowl. Add the quality olive oil, vinegars. honey, oregano, basil and salt and pepper, whisk thoroughly. Set aside to steep for a minimum of two hours before using. Transfer into a clean container. Before using, whisk again and adjust the seasoning. Place steaks and roasted garlic dressing in a sealed container and marinate for 24 hours in the fridge. Let sit for 30 minutes at room temperature before grilling. Remove steaks from the marinade, shaking of excess and season with salt and pepper on both sides. Grill steaks on preheated grill set to high until desired doneness (rare to medium rare). Transfer to a cutting board and let rest for approx. 5-8 minutes. Meanwhile, in a bowl combine the arugula, sprout mixture, fennel, treviso, frisee, celery leaves, herbs and grated cheese. Whisk together olive oil, vinegar, season and pour over salad, toss well. Divide salad between 4 plates and top each with some oil packed tomatoesand fresh ground pepper. Slice each steak against the grain into 1/4 inch strips. Place sliced steaks on top of salad and drizzle meat with juices from the cutting board. Garnish each salad with shaved reggiano and basil leaves and a scatter of sprouts if you desire. The days are longer and the weather is warmer. Could only mean it’s that time of year to get your grill on. The items in this basket have been selected to compliment a number of your favourite cuts like pork roasts or chops. 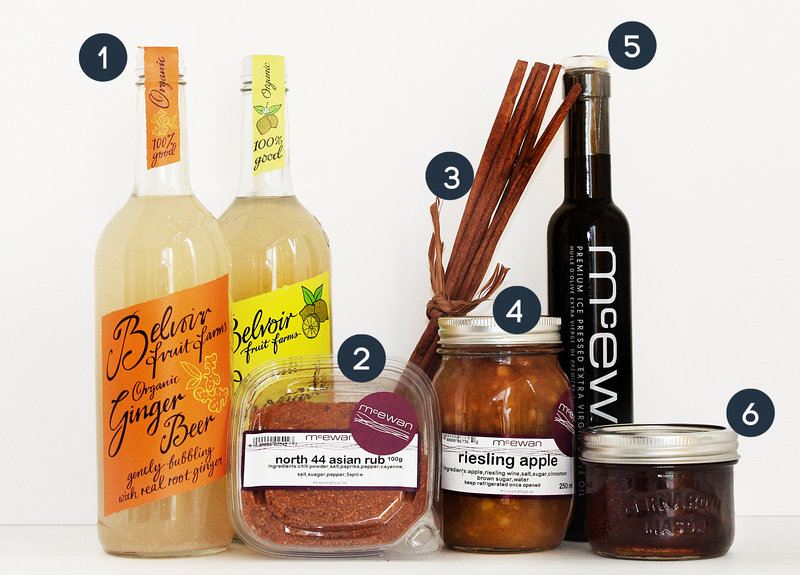 They are also available individually and can be purchased from our gourmet grocery store, McEwan. Contact McEwan to order your basket today. Custom baskets are available upon request. 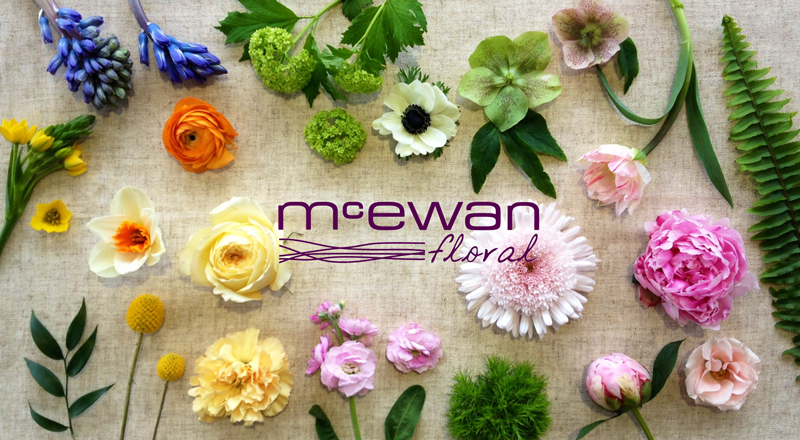 Add a beautiful flower arrangement from McEwan Floral. Being Mark McEwan’s Executive Assistant, I catch a lot of flack for my diet (Taco Bell Tuesday, Mr. Sub Wednesday, McDonald’s Saturday, etc…). But it’s not like Mark cooks lunch for the office everyday — I pick up what I can on the run and flop on the couch at night while the bin under the sink fills with takeout bags. Here’s the thing, though: I love the idea of being healthy. I just hate how hard it is to fit into my routine. I’ve tried everything — I even volunteered to be the company guinea pig for Eating Pretty, testing all their new plans and products. It was great for a while, but after a long and very busy winter (and the body jiggles to prove it) I needed something to kickstart my metabolism. I went with the OTG3 nutritional cleanse program, which I was initially drawn to by their promise of nourishment without deprivation. The juices arrived arrived at my office in their very own cooler bag with a guide to lead me through the cleanse, a daily workout routine, and a week of post-cleanse meals to ease my body back into reality. There are four fresh, easy-to-drink juices in the package: Lemonade (organic lemons, cayenne pepper and agave), Greens (cucumber, celery, spinach, romaine, parsley, kale, apple and mint), Acai Berry (acai berries, wheatgrass, blueberries, apple, pineapple and mint) and Cashew Milk (cashew, vanilla bean and agave). The package also comes with a drinking order to get the most from the experience, a pH testing kit to see your ‘pre’ and ‘post’ pH levels, and expiration instructions: drink within a week to benefit most from the enzymes and nutrients. I won’t lie, OTG3 is NOT for people who lack strength in the “will-power” department. Day #1 was a breeze until I sat down to watch Top Chef Canada and, of course, the quickfire was a pizza challenge. My stomach gurgled and I yearned for garlic dipping sauce, but I made it through. On Day #2, I woke up feeling the best I’ve felt in a long time. I had a great night’s sleep and the pangs of hunger from the evening before had dissipated. I had a bunch of meetings and a seminar to go to and I felt great about carrying my juices with me everywhere instead of a bag of chips or an overly sugared coffee drink. Then came time for me to head home. I needed something to keep my mind busy but all that was running through my head was “no one will know if I make myself some pasta right now or scoot over to Bar Burrito!”. With the help of laundry and a few other chores I powered through! By Day #3 it was almost felt like I had forgotten what chewing felt like. But I had to push through because I had already noticed the change in my energy levels and in the mirror. My body was clearly thanking me. All in all the experience was great! I found the daily meal planner valuable and I’ve been loving some of their easy-to-prep, post-cleanse meals. I can see myself using the OTG3 program every six months or so, to give my body the boost it needs. And while I can’t say that I’ll cut out fast-food entirely, I’ll try really hard to save it for “special” occasions and continue caring about what I put in my body. 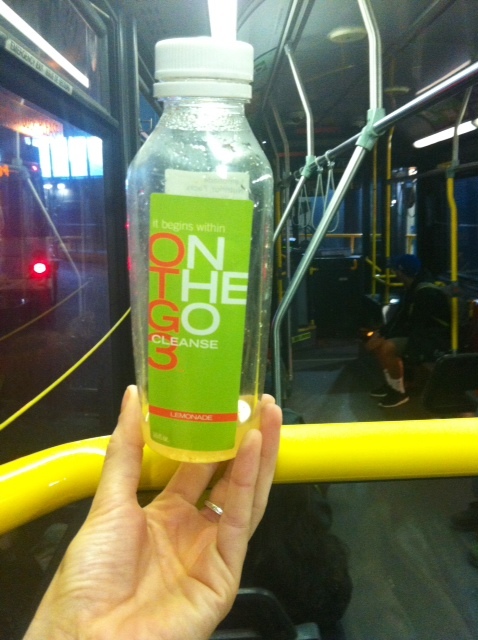 You can purchase the OTG3 juices from McEwan in the Shops at Don Mills or online at www.OTG3.com! Written by Jordie McTavish. Tweet her @JordieMcTavish. Tucked into a sunny corner of the gourmet grocery store McEwan, this floral boutique feels like an oasis. A full service floral shop, it presents rows of fresh-cut flowers that can be arranged upon request, from small hand-ties to wedding arrangements, even ready-made bouquets for shoppers on the go. What makes this floral shoppe work is the team of florists behind its artful creations, an eclectic mix comprised of a mother of two, a former tree farmer, and an art teacher. “We are from different walks of life and bring our own unique touch to our work,” says Dianne Shawcross, the youngest of the crew. She came to McEwan Floral after completing an undergraduate degree in fine art at the University of Toronto and graduating from teachers’ college. Dianne’s arrangements showcase her love of old fashioned garden roses and mimic the charm of a Dutch baroque painting. Flowers loosely arranged in antique glass vessels are this florist’s specialty. Praveen Johnson’s knowledge of plants and flowers comes from his experience as a tree farmer, who has grown some of the black spruce trees that dot our Ontario landscape. Travelling the world, Praveen has explored various climates and environments, and these travels have led him to have a deep fascination with nature. His floral and terrarium creations always feature something exotic and unexpected. The heart of the whole operation is Rachel Sherlock, a former stay at home mom who started out arranging wedding flowers from her kitchen. 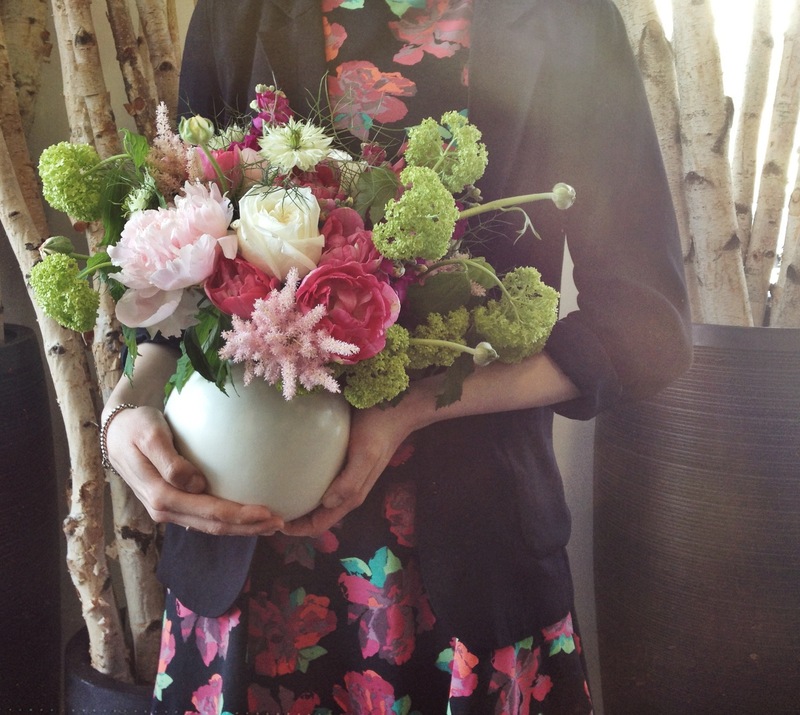 Rachel’s passion for her work as a florist lies in the joy she knows a beautiful flower arrangement can bring. “I just want to make people happy,” she says as she arranges a piece for the lobby of the Hazelton Hotel and confirms a shipment of flowers for the coming week. Her ability to multi task, problem solve, and complete any task with elegance can only come from her skill and experience as a mother, and is complemented by her years of experience creating pieces for the weddings of friends and relatives. 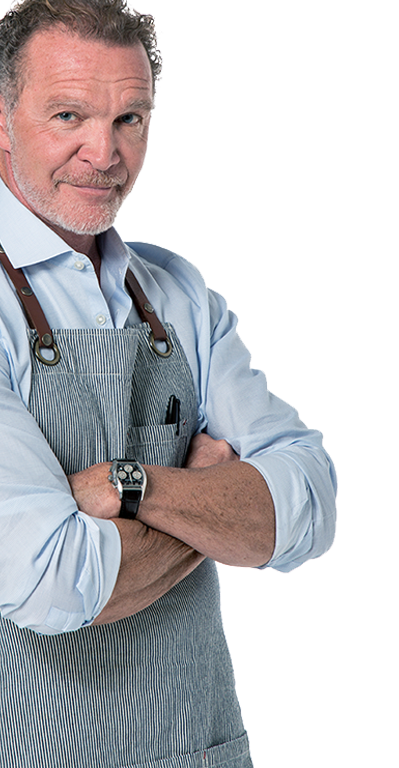 This team comes together like all the ingredients of a signature Chef Mark McEwan dish – fresh and unique with a taste that will have you coming back for more. “Working for a celebrity chef brings a very unique clientele with high expectations.” That’s how Tim Salmon, General Manager at One Restaurant, sums up his experience with Mark so far. Of course, the unique clientele he talks about has its fair share of celebrities too. As the grand poobah of Yorkville’s premiere patio, Tim’s been playing host to the biggest names in film, sport, music and politics since 2007. As for the expectations, those come straight from Mark and filter down through Tim into everyone who works at One. He attributes his relatively easy relationship with Chefs Matt Beasley and Andrew Ellerby to the exceptionally high standards everyone on the McEwan team are introduced to on day one. The servers are no different; and Tim looks for a very specific kind of person. They have to be mature enough to wait on well-known guests without losing their minds, and experienced enough to deal with a very busy dining room. Of course, it’s not just the restaurant that Tim is Western union money order responsible for. As the Hazelton Hotel’s feature restaurant, room service is also on his menu. He does a lot of champagne and chocolate dipped strawberries for the upstairs crowd, which he never tires of because, well, “there’s nothing wrong with a little love”. For a spot on the patio or in the Yabu Pushelberg dining room (one of the most well put together in town), click here or call 416.961.9600.